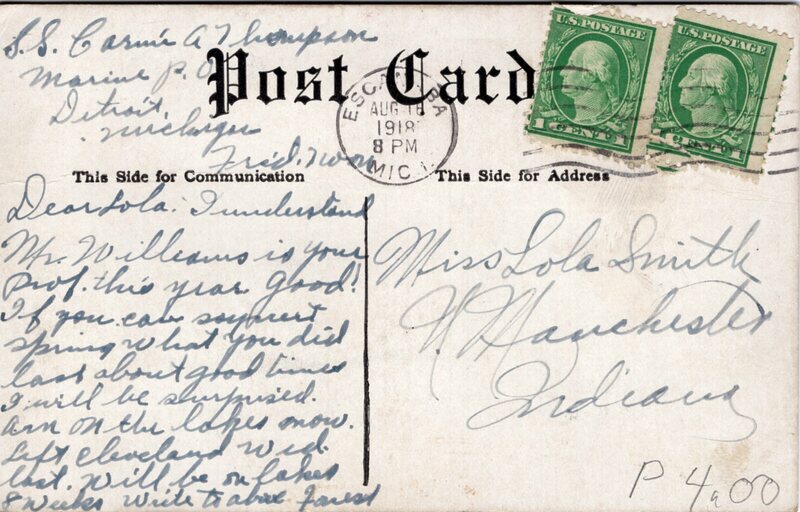 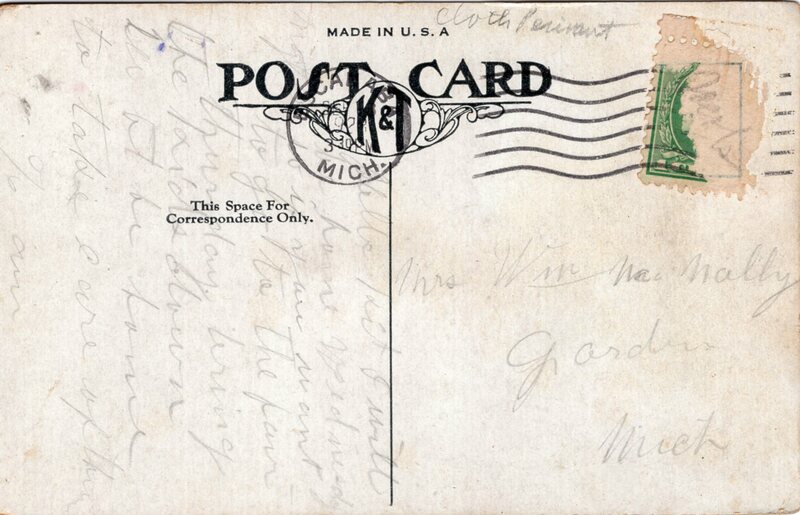 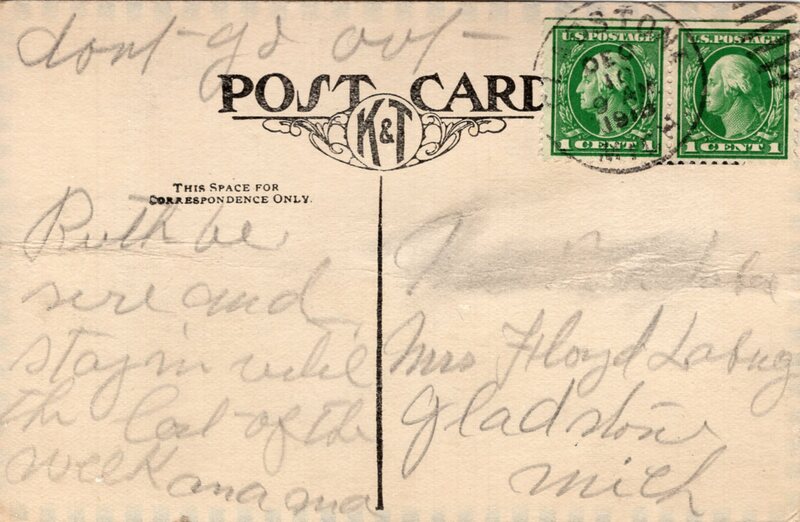 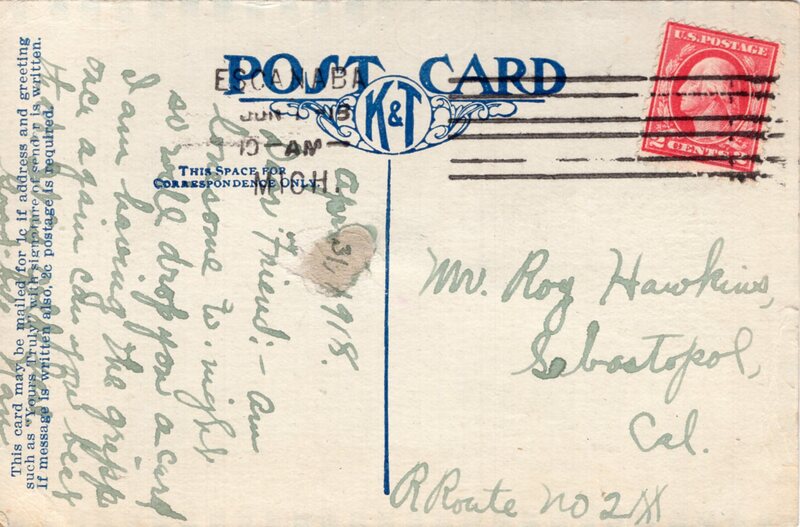 These are generic postcards that could be customized with felt pennants bearing the city/state name. 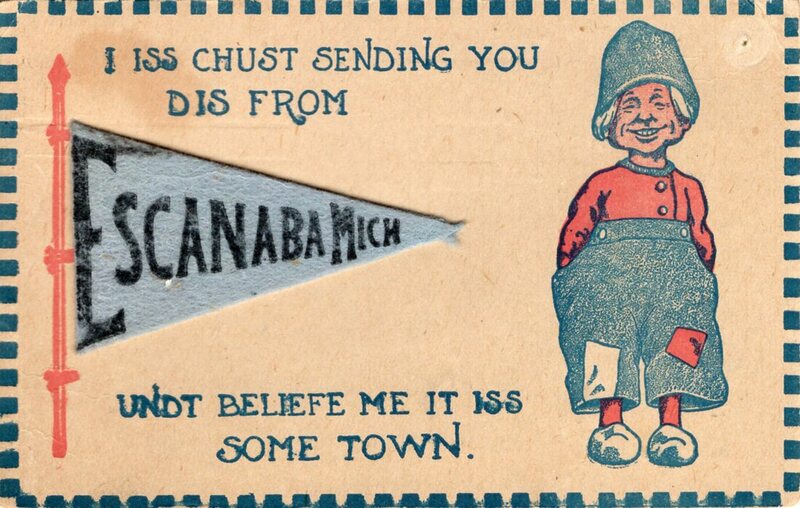 They were popular all across the country, and are sometimes difficult to find in good condition. 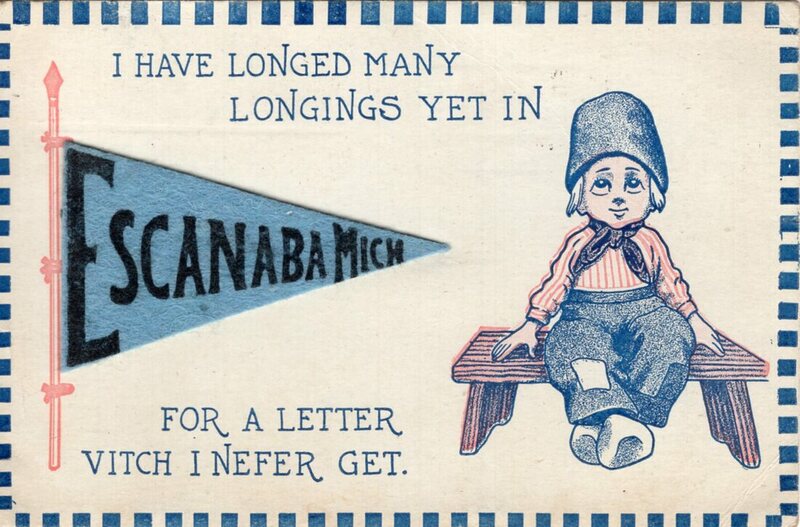 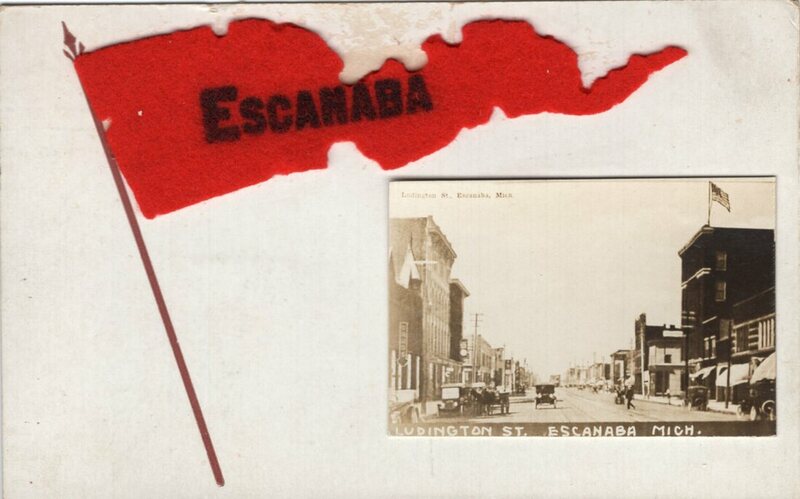 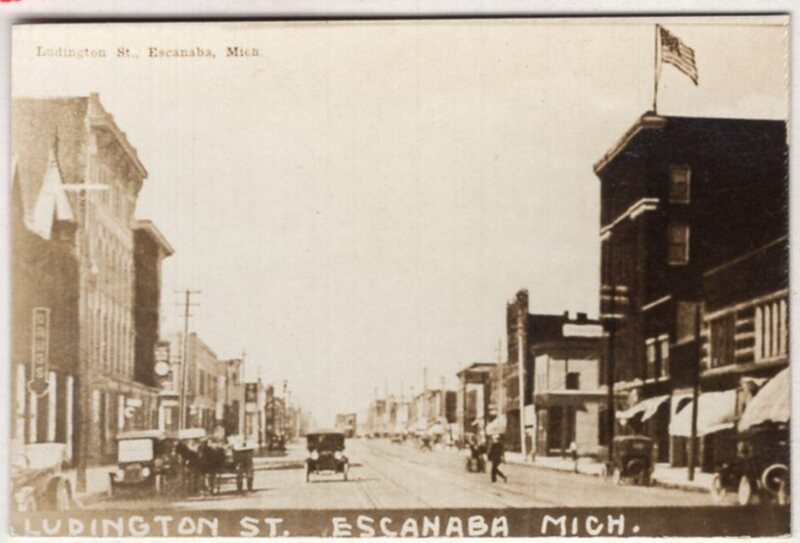 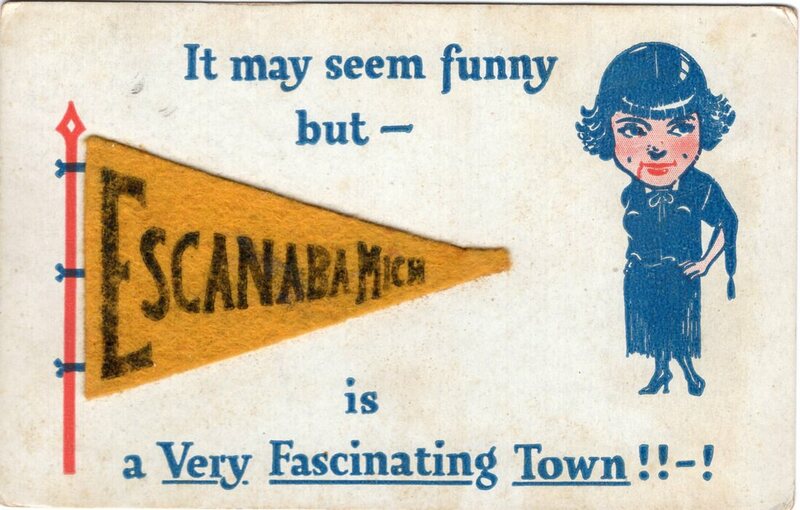 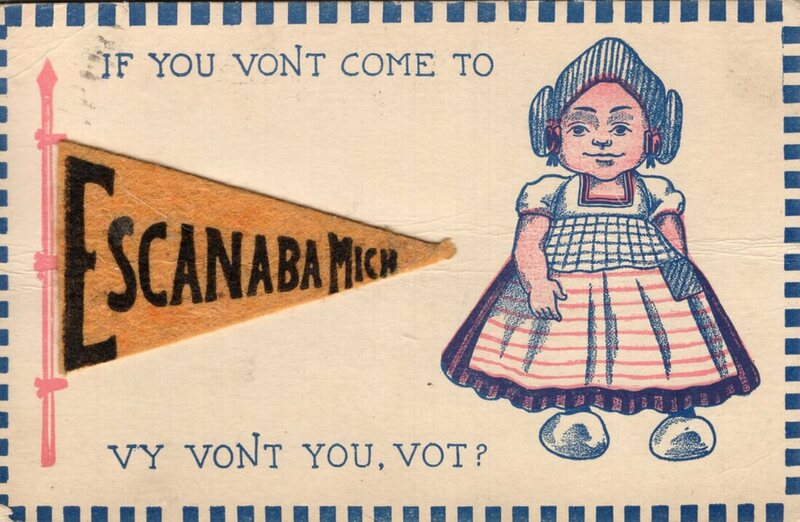 Escanaba Pennant | Ludington St.
​Novelty cards typically belong to categories exhibited elsewhere (such as Greeting or Comic) but have been placed here due to media type, method of manufacture, or both.